……. 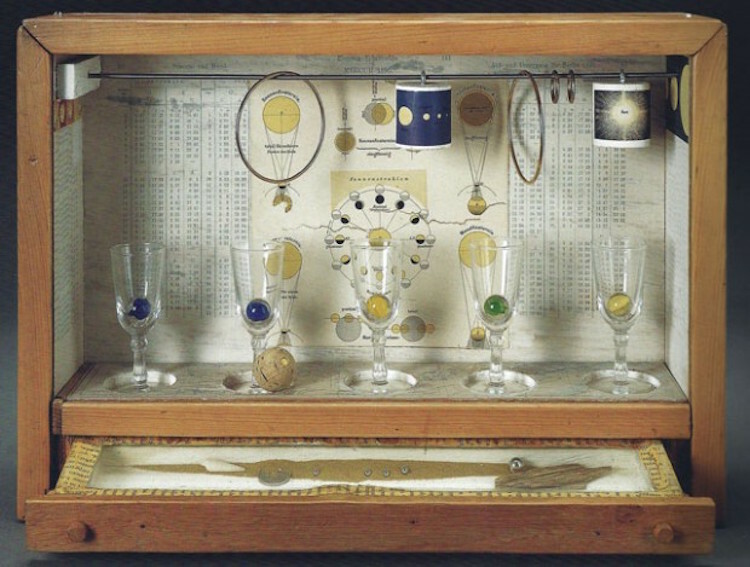 dime-store trinkets, and other found elements. 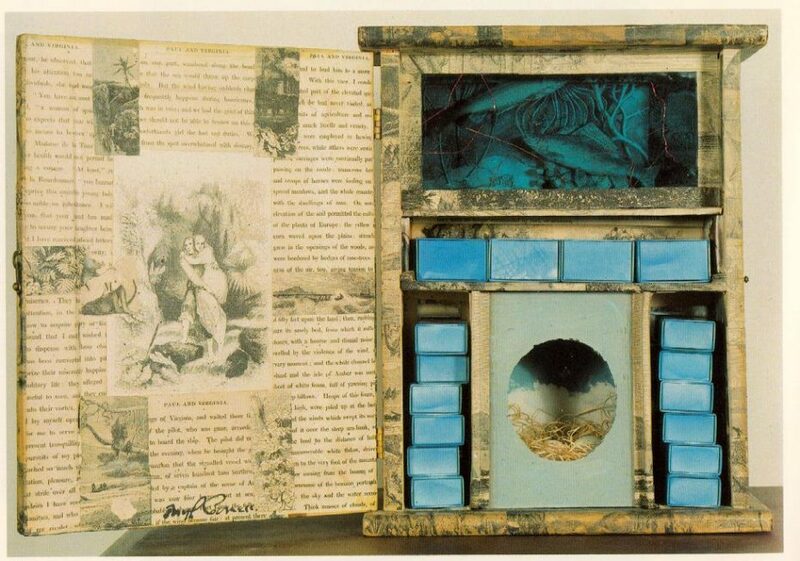 This entry was posted in fun / humor, images, vintage and tagged art, Cabinets of Curiosity, found objects art, Joseph Cornell 1930s, shadow box art, vintage collages. Bookmark the permalink. Oh, my gosh! Love this! Very cool, collage-y, some even steam-punky! I like the one that is all little cubbies with writing in French! 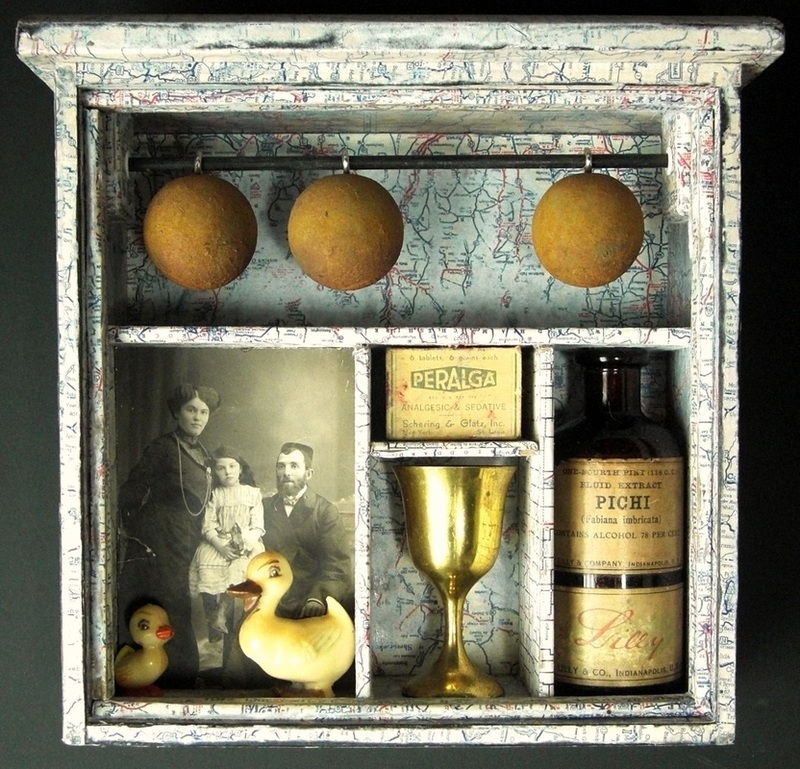 I used to do some shadow box art. It was fun! I was doing this sort of thing in highschool (long ago) before I was aware of anyone else also having done it, Duchamp for one. I had an affinity for weird or unusual found objects. I’d never heard of this guy until this week, I’m nuts about his stuff ! And it makes me think of all the “throw away” stuff and objects found that can be used to create. I heard that she helped write a couple of his books. ??? I heard this in movies like “Capote” and “Infamous”.